OZZY OSBOURNE RANDY RHOADS TRIBUTE – How often do you turn to your collection of music, whether it be CDs, vinyl, cassettes or (gulp) 8 tracks for that refreshing listen in Old School? And as you rummage through your music collection, you find that one Old School release you haven’t listened to in quite some time? It happened to me a couple of days ago. This Old School album I’ve revisited is Ozzy Osbourne Randy Rhoads – Tribute. 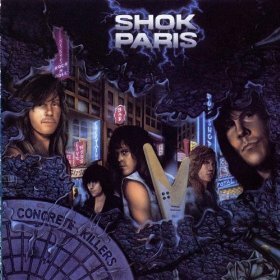 I have this live Heavy Metal masterpiece on CD and cassette, once owning it on vinyl. This is a “double-album” release and all 14 songs are on one CD. Why do I refer to this album as a masterpiece you question? This is the first and only live Ozzy Osbourne album that features the infinitely legendary Randy Rhoads (Randall William Rhoads) as guitarist. Randy Rhoads passed away at age 25, back on March 19, 1982. It was a “freak” small plane accident that took Randy Rhoads away from us all, halfway through the Diary Of A Madman tour. I won’t get into anymore details about this sad story… the internet is loaded with the complete story on this horrible day in Rock Music history. There are three Black Sabbath classics heard on this live album: Iron Man, Children Of The Grave and Paranoid. Randy Rhoads did these Black Sabbath classics spectacular Metal justice on Tribute. Yes, Tony Iommi is the originator and guitar master of these Black Sabbath songs, there is no dispute. If anything, Randy and Tony are on the same Metal tier in my most honest Metal opinion. Two entirely different guitar styles and two unique legends of Heavy Metal and Rock history are they both. Each guitarist has carved out his individual Metal legacy for all eternity. What more can I say about that? As I listen now, some 24 years after this live album has been released, the chills still run up and down my body when I crank these Heavy Metal classics up… just as it happened to me in 1987. When a live album or any album for that matter, can never lose it’s euphoric Metal vibe that it gives me, such as this one, then I Metal ordain it a Metal Masterpiece. I’m forever left spellbound by listening to Randy Rhoads play his riffs, leads and solo’s throughout this entire live album. The studio out-takes of Randy Rhoads playing Dee never ceases in capturing my full attention. The all encompassing Metal high I get from hearing these live versions of Flying High Again, I Don’t Know, Crazy Train and Mr. Crowley is a personal feeling that is priceless. Randy Rhoads has a featured guitar solo on Suicide Solution and it is a dizzying listen into just how immense, influential and dynamic his guitar playing was… and forever will be. Ozzy’s vocals on these live songs sound just incredible to my ears, it’s vintage Ozzy. There will never be another Ozzy Osbourne, just like there shall never be another Randy Rhoads. These two ultra-amazing men of Metal created two magical albums together with Blizzard of Ozz (1980) and Diary Of A Madman (1981). Those were two back-to-back Heavy Metal albums that essentially catapulted Ozzy’s solo career to iconic heights and made Randy Rhoads, the guitarist, an everlasting influence and legend. Both of these iconic Heavy Metal albums are celebrated on this live Tribute album and Ozzy Osbourne paid tribute to Randy Rhoads through it’s release. The guitar playing and song writing of Randy Rhoads shall be celebrated forever by this Metalhead. This is a live album that belongs in every Hard Rock and Metal fans collection of music, I can’t fathom any reason otherwise. Ozzy Osbourne Randy Rhoads – Tribute is a live album that captured important Heavy Metal and Rock music history, which will be passed down for Metal generations to come. * Ozzy Osbourne Randy Rhoads – Tribute was produced and engineered by Max Norman. The executive producer was Ozzy Osbourne. 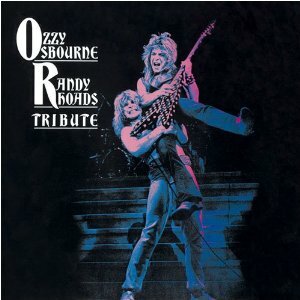 * Ozzy Osbourne Randy Rhoads – Tribute was released March 19, 1987, on Epic Records. The combination of knowing that the month of March marks the passing of Randy Rhoads and speaking with “DeadDave” of Dead Daves Radio.com about Old School Heavy Metal over this past weekend, prompted me to dig out this classic work of live Heavy Metal… without my even thinking about it. I guess needing to listen to Ozzy Osbourne Randy Rhoads – Tribute was imbedded in my Metal sub-conscious, all along this past week. 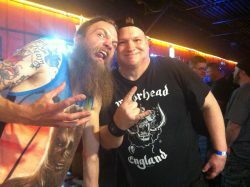 I met “DeadDave” for the first time in my Metal life at the COLD, KOPEK, Egypt Central, Oceans Divide and Maddam Ink. concert at the Crocodile Rock Cafe on Saturday, March 19th. I’ll tell the world this much… “DeadDave” is one cool dude who likes his Horror, Hard Rock and Heavy Metal. Thanks for the conversations “DeadDave” and for the Metal knowledge you shared as well. Rest In Peace, Randy Rhoads. IRON MAIDEN – Just the album cover art with Eddie descending upon the devil is Metal excellence. Derek Riggs was the real deal in creating Iron Maiden album covers… no one else comes even close in my Metal opinion. Getting past the album cover art from The Number Of The Beast and diving into the songs is like a parallel journey of the Metal senses. 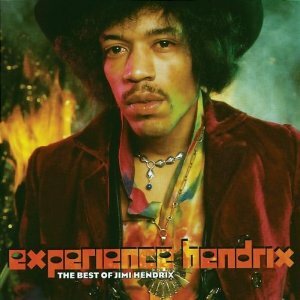 This is an album, where the cover art represents the songs heard within to brilliant perfection. Invaders, The Number Of The Beast, Run To The Hills, Hallowed Be Thy Name and Children Of The Damned are songs that I can listen to and instantly have this album cover art imbedded in my minds eye. Every song on this ultra-incredible Iron Maiden album does this to me for argument sakes. 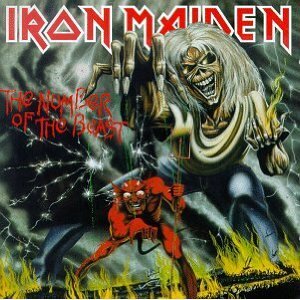 This album cover art for The Number Of The Beast has never lost it’s awestruck affect on me, nor have the songs. 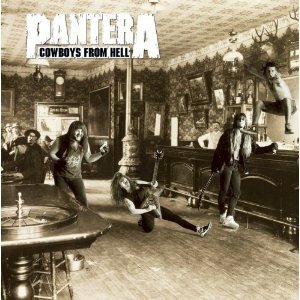 I toil away, within my own thoughts, as to which album is the “greatest” Heavy Metal album ever… almost on a daily basis. I chose the Black Sabbath classic, Sabbath Bloody Sabbath from 1973, some years ago and have stuck to it since, as being the “greatest” Heavy Metal album ever. Of course this is a “personal” choice of mine and it may change one day… so is the life of being a devout Metalhead, I guess. What gets at me though, is every time I listen to The Number Of The Beast, I feel as this album can very well be considered “the greatest” Heavy Metal album ever. Metal be thy name. I have always looked upon the first six Iron Maiden albums as being my personal favorites. Convict me of being “Old School”… only I’m not crying in any damned beer about it. God forbid If I remember which albums are the true “classics” of the Heavy Metal genre. To embrace Iron Maiden’s The Final Frontier as the way it “should be” and totally disregard the true essence of this legendary band’s Metal identity of style and sound would make me a phony fan. The Number Of The Beast is an unforgettable Heavy Metal album for me, due to it’s dark themes and 100% dark sound, feel and vibe. The Final Frontier is a new album from Iron Maiden, while The Number Of The Beast is a pulsating highlight of this bands career. The Number Of The Beast would be the last studio album that has Clive Burr sitting behind the drums. Yes, Iron Maiden did have another drummer… and he was pretty damn good too. Clive Burr was the drummer on the first two Iron Maiden albums as well: Iron Maiden and Killers. This album is also the first that showcases the uncannily soaring vocals of Bruce Dickinson. I look upon The Number Of The Beast as one of the keys that unlocked the door to Metal for me, introducing me to a darker side of Metal when it came to lyrics, as well as the New Wave Of British Heavy Metal – (NWOBHM). The Number Of The Beast was released back in March of 1982, while Screaming For Vengeance by Judas Priest was released in July of the same year. Suffice to say, I realized quickly that these British Heavy Metal Bands were very serious about their Metal back then… and still are. The mood that The Number Of The Beast radiates is untouchable by any other band, a mood so unique that it seems to zero in on my sub-conscious and touches off a feeling of eerie psyche-outness. Hallowed Be Thy Name is my favorite song on this album, very haunting and desolate are the lyrics. Waiting for your time to die by hanging is as depressingly creepy as you can get with lyrics, only Iron Maiden makes this song seem almost inspiring through it’s melodic Metal… thanks to Dave Murray and Adrian Smith on guitars. 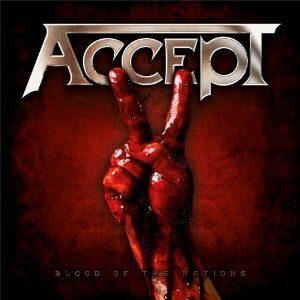 Steve Harris on bass even makes the rhythmic melody escalate on this classic Metal song. On these earlier Iron Maiden albums, especially The Number Of The Beast, the sound coming from Steve Harris’s bass is unlike anything I had ever heard before, almost like Steve Harris was a lead guitarist playing bass. Steve Harris brought to my attention as a young lad, that the bass guitar was just as magical as the guitar to my Metal sponges otherwise known as ears. The atmosphere that Steve Harris created with his bass along with Dave and Adrian’s duo guitars throughout the songs on The Number Of The Beast is what gives this album and band their Metal trademark, in my Metal opinion. Even as a young lad, I never interpreted Iron Maiden to be a Satanic band due to this or any album they created before it. I was into Creature Feature on Saturday mornings and I never thought of Boris Karloff, Béla Lugosi or Lon Chaney Sr. or Jr. to be Satanists either. I’ve always left the Satanic finger pointing to the self-righteous Phd’s and scholars, that try to tell the human race how to live. Metal be thy name. Any band of any Rock genre can tweak or change their entire approach, in how they want to sound or write music. 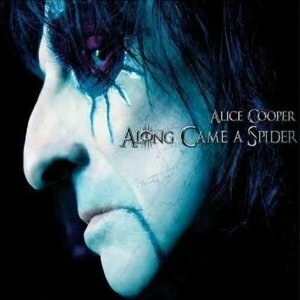 The one constant that can never change is which album or albums that any respective band created that are considered to be measuring sticks of a particular Metal era… and looked upon as classics. The Number Of The Beast is one such classic, from an era when Heavy Metal was not just being molded into form, Heavy Metal was breathing a new found life into a generation of fans that are undisputedly loyal to this very moment. I’m one of them… and The Number Of The Beast shall continue to breathe it’s tantalizing, Old School and macabre teetering spell on me till the end of days. This is one Iron Maiden album I still have the vinyl copy of… still in unreal great condition too. I without question, upgraded this classic to CD years ago as well. No, I don’t have a cassette version, yet if I find one I’d probably buy it, just to play in my good ‘ol Ford Taurus. The Number Of The Beast has become, over the decades, not just a required album to own if you are a Metalhead… this Iron Maiden album could easily be described as an absolute and necessary appendage to thine Metal senses. This is my Metal opinion, so let it be Metal written, so let it be Metal done. * On May 9, 2009, I posted why I feel Black Sabbath – Sabbath Bloody Sabbath is the “Greatest Heavy Metal Album of All Time”. Just click the large header below to read it… if you like.